What’s frustrating about Fresh Dressed, a documentary about the relationship between hip-hop and fashion, can be summed up in one quote from Kanye West, who observes, “Everything comes down to class. The class conversation is bigger than the race conversation.” That’s a sharp insight, but the problem with Fresh Dressed, the first film directed by longtime journalist Sacha Jenkins, is that it only makes feints to having these conversations, or most other conversations, as it breezes through the decades. 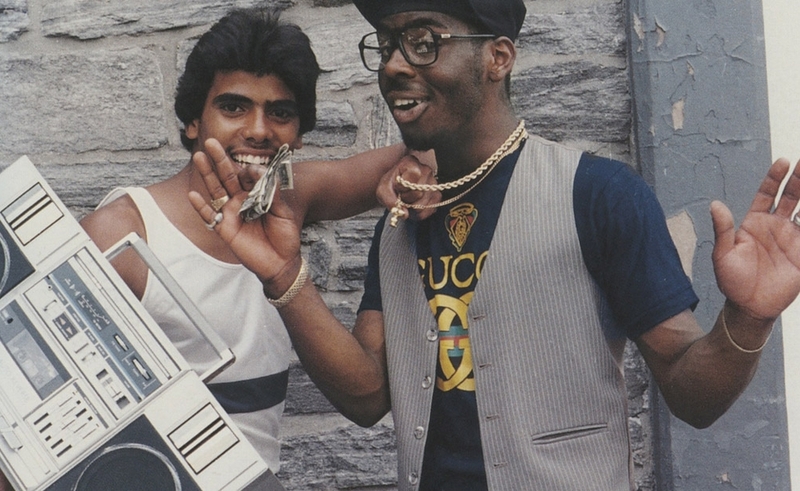 A briskly paced 82-minute film, Fresh Dressed works fine as an introduction to its topic and ropes in some key names to discuss the ways hip-hop has inspired fashion, and the ways fashion has inspired it back. But it ends up feeling like a once-over-lightly take that should have gone deeper. Fresh Dressed is a treasure trove of old clips and it chooses its commentators well—like West and Nas (also a producer on the project)—and benefits from insights from key players, like Cross Colours founder Carl Jones and FUBU’s Daymond John. But once hip-hop blows up in the late ’80s and ’90s, the story expands beyond the slim doc’s ability to cover it well. A shift in focus from New York to the West Coast barely gets mentioned, and the back half becomes a pile-up of brand names and rappers attempting to extend their brand into the fashion world with varying degrees of success. Eminem failed in this respect because, as one interview subject points out, his Shady line seemed like a cash-in, but it’s never made clear what separates his efforts from Sean John or Rocawear. Jenkins clearly knows the territory and has access to all the right people, but he doesn’t really push in the places that could benefit from pushing. It’s fun to watch the decades go by and the fashions change, but though Fresh Dressed takes its subject seriously, it ends up feeling superficial.